+1 is nice and easy for newer learners. 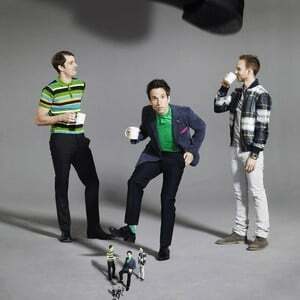 “We came back to it for a very simple reason: we started enjoying writing songs again.” Sam Swallow’s description of how The Hoosiers re-formed, and in doing so reconnected with what had made them start a band in the first place, is matter-of-fact, but the expression on the keyboardist’s face as he says this is passionate. Sitting beside him and nodding in agreement, Irwin Sparkes, Martin Skarendahl and Alan Sharland convey a similar sense of having emerged, blinking, into the light, having endured some pretty dark times.